In late May Jackson headed to Fort William in Scotland & then to Leogang in Austria for the next 2 world cup rounds. Jackson crashed in Scotland in horrible weather conditions coming 22nd place. In Leogang, again another completely different environment and a steep learning curve, but a stronger result Jackson came away in 5th place. Of significant note, out at the first round he was the only 1st year rider in the top 15 and at Leogang the only 1st year rider in the top 10, very strong results. Whilst in Europe he was invited to spend a few weeks in Bromont Canada training which we looked upon as a great opportunity for him. He was also asked by GT factory to go up to Whistler and do some riding, racing & filming with their factory riders - an offer too good to refuse. At this moment he is in Bromont Canada. He then heads to Mont St Ann Canada for the next round of the series and then straight across to Wyndham New York for the following weekend and another round of the World Cup series. From there he will fly across to Vancouver and meet his mum to travel up to Whistler to spend 4 days with the GT guys at Crankworx. After that they travel across to Italy for the final round of the world cup series before driving down to Andorra for World Champs on Sept 6. Georgia Baff has recently returned from the Junior World Championships in China. Georgia is a Snowboarder and is a member of the NSW Institute of Sports (NSWIS). She lives in Jindabyne and commutes to Erindale most days of the week. She is an elite athlete who spends large amounts of time competing nationally and internationally. The support shown to Georgia from Erindale staff is much appreciated by Georgia and her family. Pictured (3rd from the right) after finishing 4th in the Junior World Championships in China , Georgia has now earned a spot on the World Cup circuit! This has been a goal for hers and puts her future goal of Olympic representation firmly in her sights. Congratulations to Harry Leddy who has been selected in the Australian Youth Rugby 7's squad. He has been invited to the Australian 7's headquarters in Narrabeen next month to further demonstrate his skills and possibly a chance to play in the Youth Commonwealth Games in Samoa. Congratulations to Bailey Loughhead who has been selected in the Australian A Oztag team. He has been invited to attend 2 upcoming camps in preparation for the World Cup at the end of the year. Good luck to Erindale's 4 Junior Brumbies who will fly to Perth this weekend to play against Western Australia in the final of the Junior Gold Cup. David Stewart, Sok Maine, Jack Gilmour and Sione Fualalo have all sacrificed a large amount of their summer to train and compete in this national tournament. They defeated Melbourne in the semi-final at UC on Sunday. Congratulations to Kamil Quimio, who tried his luck at the X Factor auditions in Canberra. Musicians hoping to snag the small screen spotlight trickled through Canberra's QT hotel to audition for reality juggernaut the X Factor. The capital is one of several audition stopovers across the country as a group of judges selects the lucky contenders for the 2015 reality television contest. Kamil Quimio, who has been singing for a couple of years and is learning the guitar, was among a flock of Canberrans vying for a spot on Friday afternoon. Kamil made it through the first audition to the second and final phase. He will find out if he's successful next month. Sian A'Hearn is a Mountain Bike Racer and a member of the Individual Squad for TSP. Recently she completed at the "All Schools National Championships" held at Thredbo. Dual compressor (came 1st), Down Hill (came 1st) and Cross Country (came 1st). This result gave her the glorious title for her age group "queen of the mountain". Congratulations to Riley Hughes, Harry Leddy, Aiden Agnew and Elana Sliwinski who competed in the Australian Youth Rugby 7's Nationals. Both the boys and the girls teams finished 3rd overall out of 10 team teams. This is a fantastic effort considering the depth and population of Canberra in comparison to the bigger states. On Wednesday 4th March the Brumbies held their annual college Rugby 7's carnival. Erindale entered 2 boys and 2 girls teams which was by far the largest participation by any school. For the boys it was a day of competitive Rugby with our team unfortunately losing in the final to Canberra College. Luckily finishing second still progresses them through to the next stage. For the girls it was a day of laughter and trying something new. Both our girls teams managed to make the semi-finals but the way the draw was produced unfortunately bided them against each other. The eventual winner of that game took out the day and Erindale is now the ACT Girls 7's champions. Congratulations to the students who represented Erindale in the ACT Water polo competition on Friday 6th March. It was a great afternoon for all involved. Our first game was against a combined Lake Ginninderra and Lake Tuggeranong team. The opening goal was against Erindale after Charlie Rogers was excluded for pulling on an opponent's leg! But it was all Erindale from here on; with three goals to Lochie Phillips, some super saves from Travis Elliot and Bec McCoy sealed it up with a final goal to win 4 – 1. The final match was against Narrabundah. Again it started with the opposition providing plenty of heat. Some awesome saves from Lochie Phillips, Travis Elliot, Charlie Rogers and Bec McCoy helped to hold them out, but eventually Narrabundah found the back of the net! The next four goals went to Erindale with Connor Hawthorn scoring 2, Lochie Phillips and Bec McCoy both scoring also. Narrabundah scored the final goal, but Erindale were too strong (4 – 2), defending their title to be ACT champions. Congratulations to all involved: Hannah Fursman, Kate Kichenside, Dylan Weir, Lucy Rowland, Deean Lord, Connor Hawthorn, Lochie Phillips, Travis Elliot, Ben Buchanan, Charlie Rogers, Bec McCoy. Canberra players have performed well at the ACT Junior Championships held over the Canberra Day long weekend. Over 140 entrants from across the ACT, NSW and QLD participate in the Silver Junior Tour event. The 16 boys event was dominate by locals with Dimitri Morogiannis and Heath Bortolin facing off in the final. Morogiannis lived up to his number 1 seeding, defeating Bortolin 6-2, 6-1. The boys again faced off in the final of the 16 Boys Doubles, with Morogiannis combining with Jack Fuller to defeat Bortolin and Zac Donaldson 6-3, 6-3. Georgia Baff recently returned from Canada having competed in a number of Snowboarding races including the NorAm in which she finished 9th (she was the highest ranking Australian). Georgia has been officially invited to join the Australian team for the Junior World Championships in China in March. Also a member of the NSW Institute of Sport, Georgia is on track at this stage in her efforts towards making the 2018 Winter Olympics. High praise is given to Sian A'Hern and Jackson Frew who have been competing in the Subaru National Series for Mountain Biking. Recently Sian (Above) finished 2nd in the U19's Thredbo race which moved her into first place within the Series. Jackson (Above) finished 3rd in U19's and currently sits 3rd in the National Series. The next race is in Toowoomba. 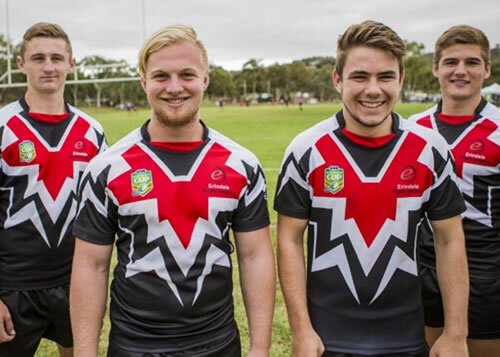 Erindale College is breaking new ground to find the next NRL star, recruiting players from non-traditional rugby league breeding grounds to bolster their ranks and foster future talent. 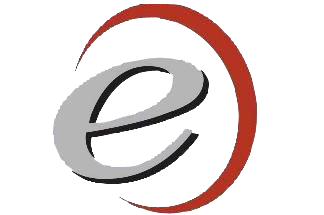 The move to recruit players from Darwin, Perth and Adelaide has paid immediate dividends, with the Erindale under-18s team winning a Nines tournament in Canberra on Wednesday. Coach Matt Adams has been looking out for talent for the past two years, scouting the best players at the national junior championships and offering them a spot at Erindale. For 16-year-old lock Elijah Simpson, it meant moving away from his family in Darwin to Canberra where he hopes he can launch his NRL dreams. Erindale now boasts four players - Simpson (Darwin), Harry Leddy and Todd Jamison (Perth) and Tyler Black (Adelaide) - who have relocated to chase their rugby league goals. "It's been a bit tough the first couple of weeks, but I'm starting to settle in," Simpson said. "I wanted to further my career and education. I wanted to get out of Darwin to further my chances of getting somewhere in rugby league. "It's hard to get into it up there [in Darwin]. Most guys play Aussie rules and Canberra's a bit of a stepping stone for me. Once you hit the age of 15 you've got to make a choice between sports. I chose rugby league." Erindale beat Illawarra Sports High 15-11 in the final to claim back-to-back Nines titles in the competition's second year, with 10 teams from around Canberra and NSW fighting for the trophy. Erindale was undefeated in six games and Adams believes their interstate recruiting will help lift the level of rugby league in Canberra. Halfback Leddy moved to Canberra last year and has been promoted to captain, while Black and Jamison are finding their feet in the school side. The NRL is trying to push into new markets, with teams shifting regular season games to Darwin and Perth with the aim of rugby league becoming a truly national sport. But the failed franchises of the Western Reds and Adelaide Rams have left holes in pathways for juniors outside of traditional breeding grounds in NSW and Queensland. "It's slowly happening, guys are starting to get into rugby league from different areas and they're not too far off the mark," Adams said. "A lot of it is just giving them some exposure. The boys just love all their mates who play rugby league as well, but back in Darwin or Perth, half play AFL and the rest play something different. "I think we can tap into that market. All of the kids have put in the money to relocate themselves and hopefully get the rewards." Australian mountain biker, Jackson Frew has received some welcome news ahead of the Oceania Championships and National Series in Toowoomba, in Queensland this weekend. Despite being only 16, the Canberra rider has recently signed with GT bikes giving the young hopeful a boost to his mountain biking career. The former Marist student has also moved to the Talented Sport Program at Erindale College in Canberra to help support his passion for cycling. Frew started competing in BMX at 6 years of age and moved across to mountain biking after a family holiday in Whistler in 2007. "Back then I had no idea what downhill was really about," said Frew. "I had seen magazines and I had heard of some great Aussies riders, but when Caroline (Buchanan) took me up the Whistler mountain, I rode ALINE and I was hooked! I have never looked back. "I have been very lucky to have had great guidance from some exceptionally talented mountain bike riders and support from great local bike stores in Canberra," added Frew. This year marks his first year in junior and he is hopeful of being selected for the Australian team to compete internationally. "This is serious for me," explained Frew. 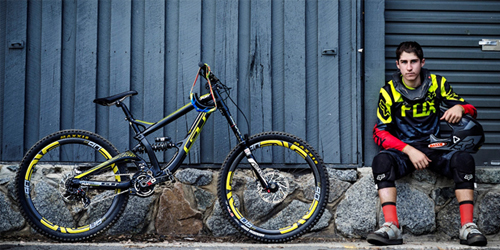 "My partnership with GT, an iconic bike and brand is the next step. I am so impressed with the geometry of the bike and the SRAM gear, Enve wheels it's fantastic. My bike is beautiful!" 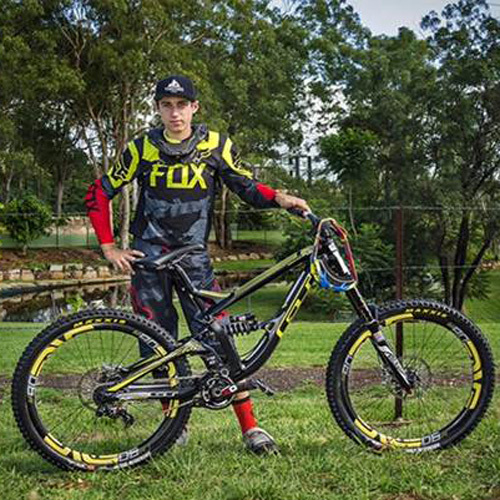 Frew has been World Plate holder in BMX and in mountain biking he was crowned "Prince of Crankworks" in Whistler in 2013 and will be aiming for a podium finish this week in both the Oceanic Championships and in the final round if the National Mountain Bike Series. He then will prepare for the upcoming National Championships in Bright in Victoria in March. "I really need to get some time on the Fury, before the Championships to give myself the best chance in Bright." Jackson is supported by GT Bicycles, FOX, SRAM, Enve, MAXXIS, Thredbo MTB, Lizard Skins and Leatt Protectives. Frew has flown under the radar but is now ready to step out of the dust and create his own storm on the GT.